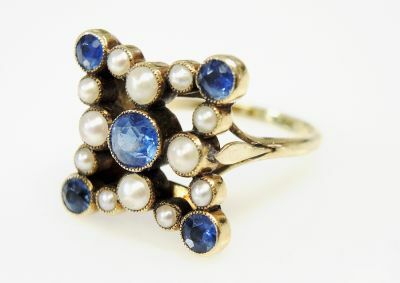 A beautiful Edwardian 10kt yellow gold mill grain ring featuring 1 round faceted cut medium powdery blue sapphire, est. 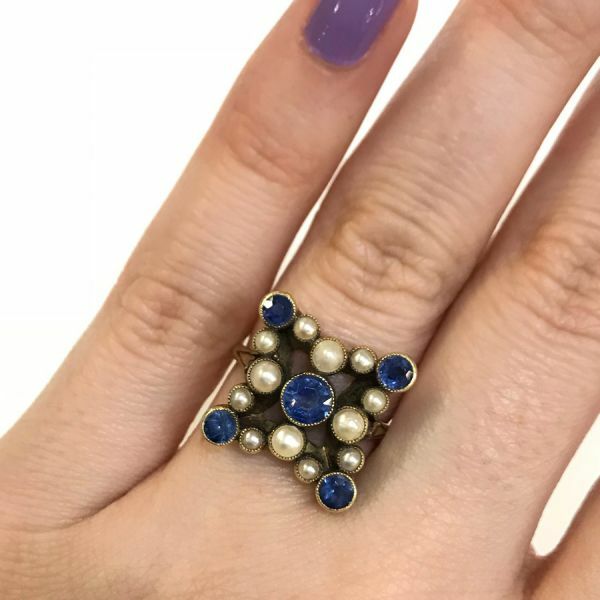 0.48ct; 4 round faceted cut medium powdery blue sapphires, est. 0.66ct and 12 creamy white pearls, approx. 2.0-3.0mm.